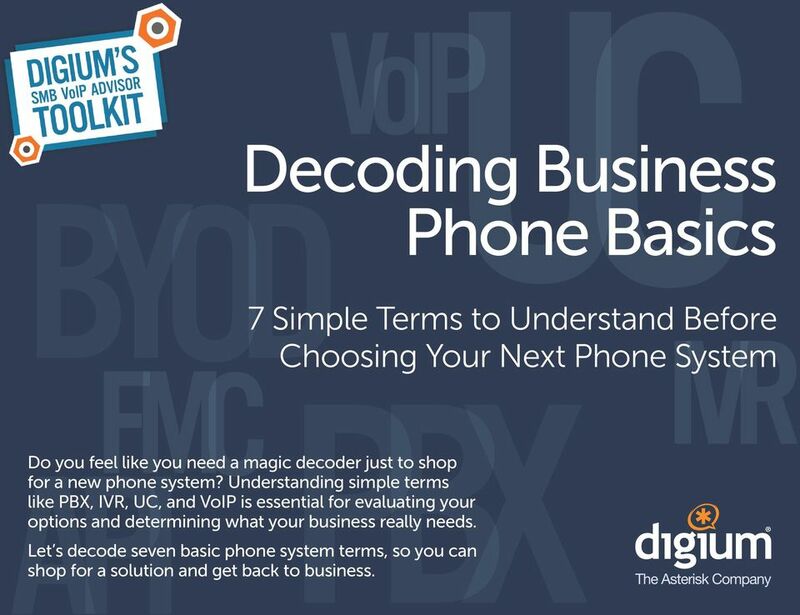 Download "Decoding Business Phone Basics"
1 Decoding Business Phone Basics 7 Simple Terms to Understand Before Choosing Your Next Phone System Do you feel like you need a magic decoder just to shop for a new phone system? Understanding simple terms like PBX, IVR, UC, and VoIP is essential for evaluating your options and determining what your business really needs. Let s decode seven basic phone system terms, so you can shop for a solution and get back to business. 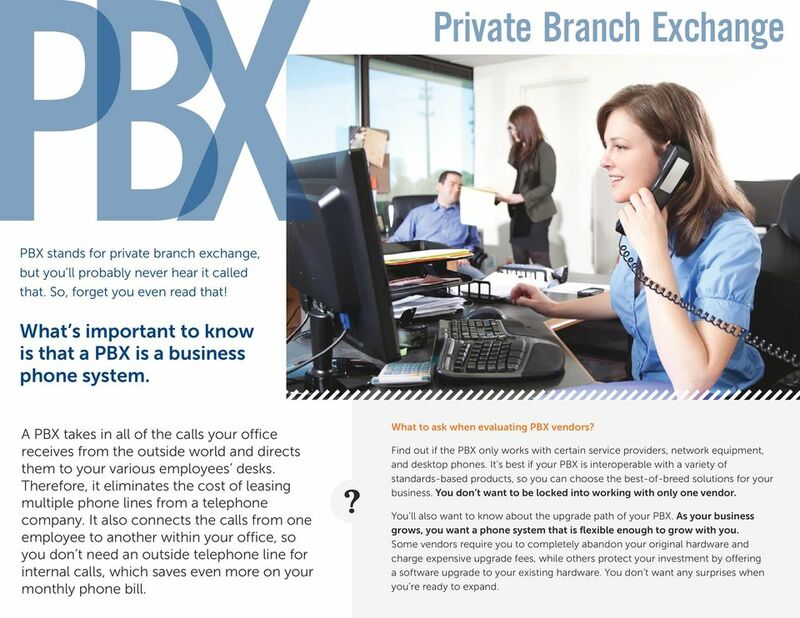 2 Private Branch Exchange PBX stands for private branch exchange, but you ll probably never hear it called that. So, forget you even read that! What s important to know is that a PBX is a business phone system. A PBX takes in all of the calls your office receives from the outside world and directs them to your various employees desks. Therefore, it eliminates the cost of leasing multiple phone lines from a telephone company. It also connects the calls from one employee to another within your office, so you don t need an outside telephone line for internal calls, which saves even more on your monthly phone bill. What to ask when evaluating PBX vendors? Find out if the PBX only works with certain service providers, network equipment, and desktop phones. It s best if your PBX is interoperable with a variety of standards-based products, so you can choose the best-of-breed solutions for your business. You don t want to be locked into working with only one vendor. You ll also want to know about the upgrade path of your PBX. As your business grows, you want a phone system that is flexible enough to grow with you. Some vendors require you to completely abandon your original hardware and charge expensive upgrade fees, while others protect your investment by offering a software upgrade to your existing hardware. You don t want any surprises when you re ready to expand. 3 Interactive Voice Response Interactive Voice Response is one of the most popular phone system features today. When you call a business and an automated attendant answers, Thank you for calling ABC Distributing. If you know your party s extension, you may dial it at any time, or press 0 to speak to an operator now. That s an IVR. 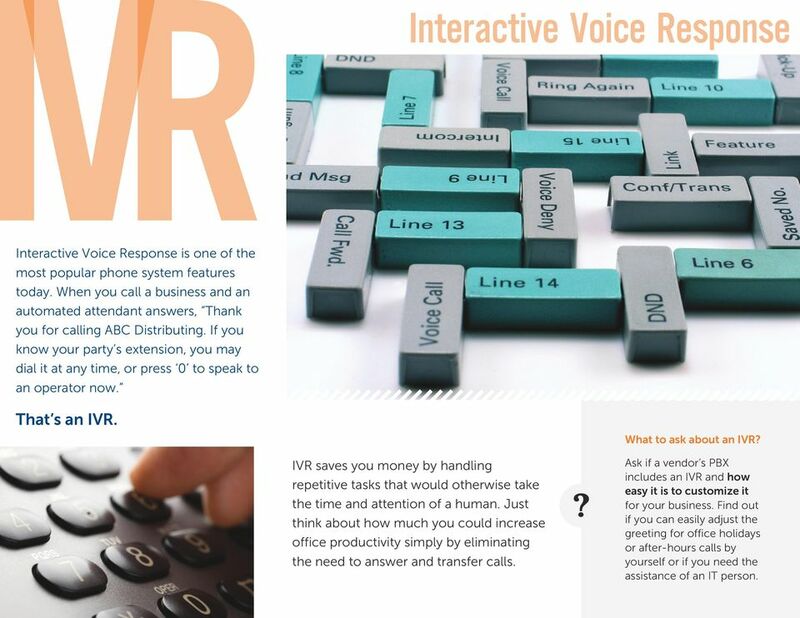 What to ask about an IVR? IVR saves you money by handling repetitive tasks that would otherwise take the time and attention of a human. Just think about how much you could increase office productivity simply by eliminating the need to answer and transfer calls. Ask if a vendor s PBX includes an IVR and how easy it is to customize it for your business. Find out if you can easily adjust the greeting for office holidays or after-hours calls by yourself or if you need the assistance of an IT person. 4 Unified Communications Unified Communications is becoming the dominant method to facilitate efficient and productive business communications. The UC market size is expected to reach 16.5 Billion Dollars by Global Industry Analyst, Inc. 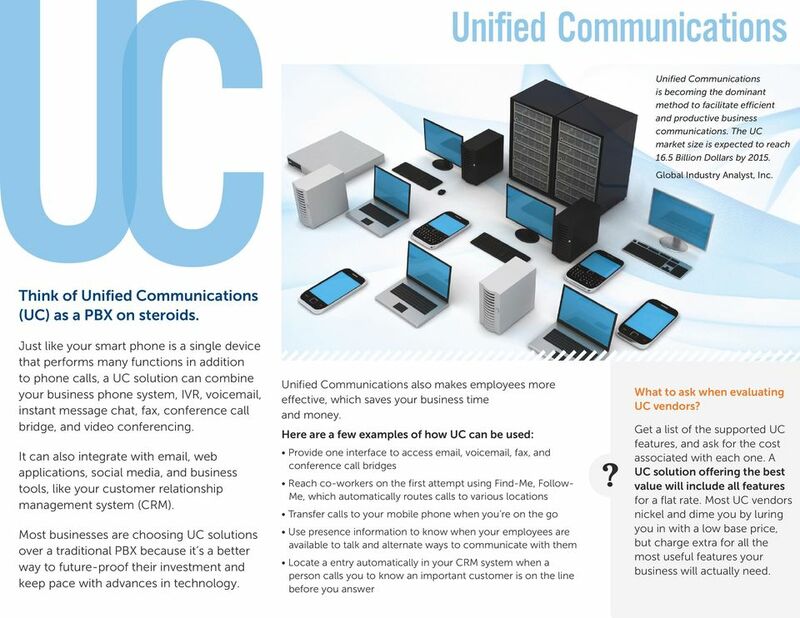 Think of Unified Communications (UC) as a PBX on steroids. Just like your smart phone is a single device that performs many functions in addition to phone calls, a UC solution can combine your business phone system, IVR, voic , instant message chat, fax, conference call bridge, and video conferencing. It can also integrate with , web applications, social media, and business tools, like your customer relationship management system (CRM). Most businesses are choosing UC solutions over a traditional PBX because it s a better way to future-proof their investment and keep pace with advances in technology. Unified Communications also makes employees more effective, which saves your business time and money. Here are a few examples of how UC can be used: conference call bridges Me, which automatically routes calls to various locations available to talk and alternate ways to communicate with them person calls you to know an important customer is on the line before you answer What to ask when evaluating UC vendors? Get a list of the supported UC features, and ask for the cost associated with each one. A UC solution offering the best value will include all features for a flat rate. Most UC vendors nickel and dime you by luring you in with a low base price, but charge extra for all the most useful features your business will actually need. 5 Voice over Internet Protocol Voice over Internet Protocol (VoIP) is the transmission of phone calls over the internet instead of traditional telephone landlines. VoIP (often pronounced voyp ) is more affordable, especially for international and other long-distance calls. It also allows businesses to reduce their IT infrastructure by eliminating the need to maintain separate voice and data networks. 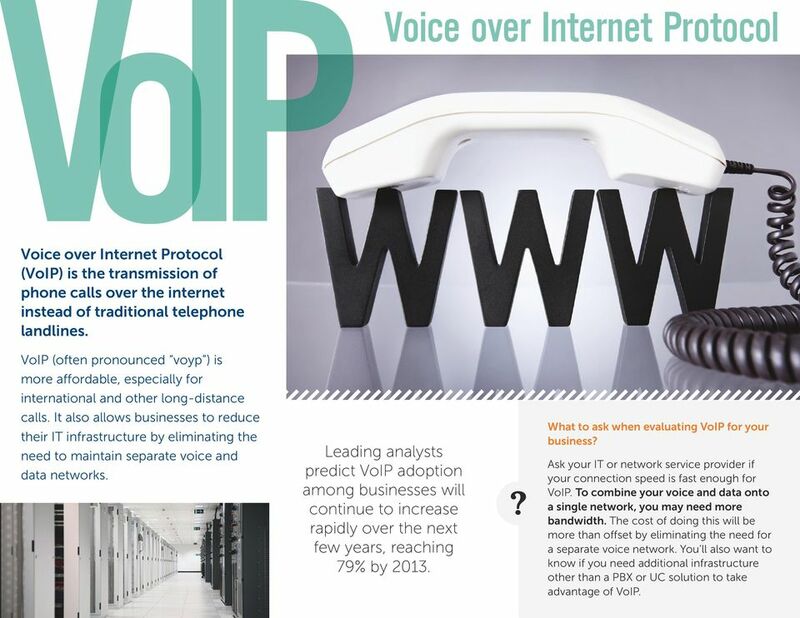 Leading analysts predict VoIP adoption among businesses will continue to increase rapidly over the next few years, reaching 79% by What to ask when evaluating VoIP for your business? Ask your IT or network service provider if your connection speed is fast enough for VoIP. To combine your voice and data onto a single network, you may need more bandwidth. The cost of doing this will be more than offset by eliminating the need for a separate voice network. 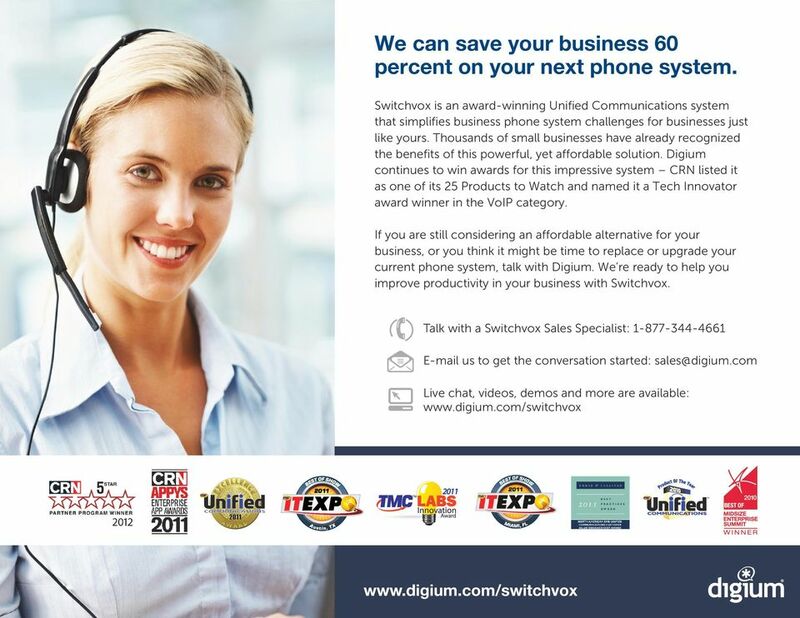 You ll also want to know if you need additional infrastructure other than a PBX or UC solution to take advantage of VoIP. 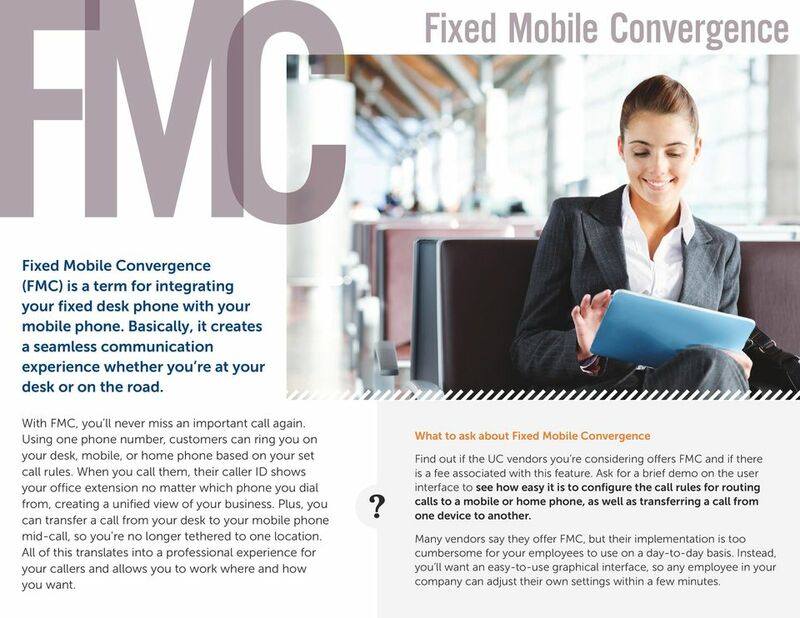 6 Fixed Mobile Convergence Fixed Mobile Convergence (FMC) is a term for integrating your fixed desk phone with your mobile phone. Basically, it creates a seamless communication experience whether you re at your desk or on the road. With FMC, you ll never miss an important call again. Using one phone number, customers can ring you on your desk, mobile, or home phone based on your set call rules. When you call them, their caller ID shows your office extension no matter which phone you dial from, creating a unified view of your business. Plus, you can transfer a call from your desk to your mobile phone mid-call, so you re no longer tethered to one location. 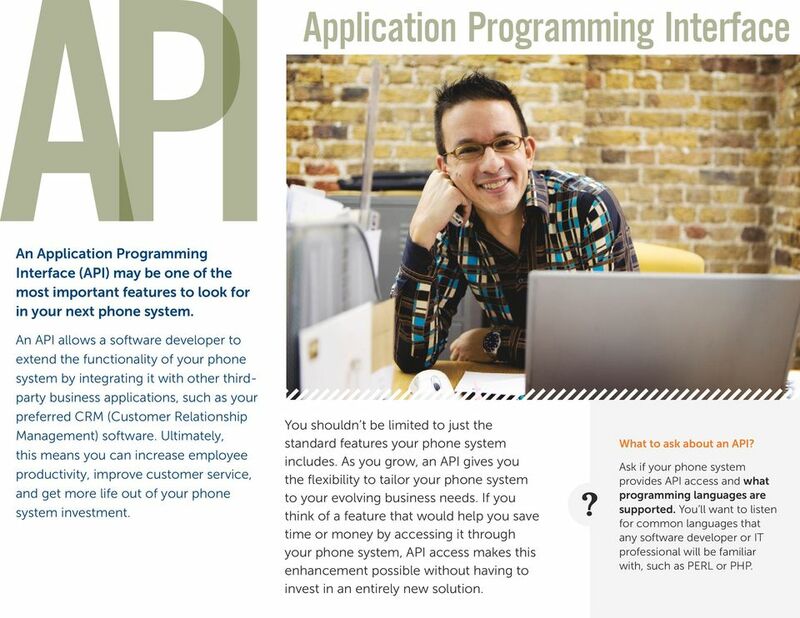 All of this translates into a professional experience for your callers and allows you to work where and how you want. What to ask about Fixed Mobile Convergence Find out if the UC vendors you re considering offers FMC and if there is a fee associated with this feature. Ask for a brief demo on the user interface to see how easy it is to configure the call rules for routing calls to a mobile or home phone, as well as transferring a call from one device to another. Many vendors say they offer FMC, but their implementation is too cumbersome for your employees to use on a day-to-day basis. Instead, you ll want an easy-to-use graphical interface, so any employee in your company can adjust their own settings within a few minutes. 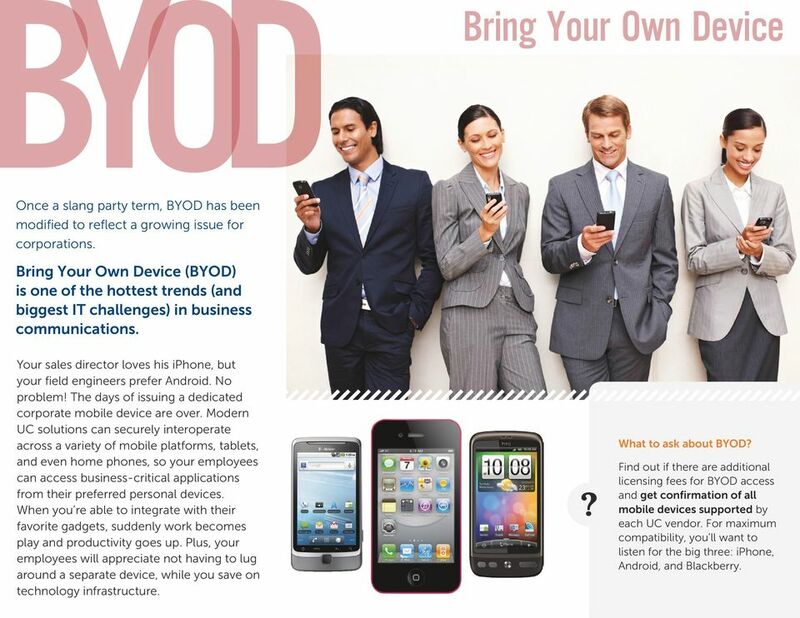 7 Bring Your Own Device Once a slang party term, BYOD has been modified to reflect a growing issue for corporations. Bring Your Own Device (BYOD) is one of the hottest trends (and biggest IT challenges) in business communications. Your sales director loves his iphone, but your field engineers prefer Android. No problem! The days of issuing a dedicated corporate mobile device are over. Modern UC solutions can securely interoperate across a variety of mobile platforms, tablets, and even home phones, so your employees can access business-critical applications from their preferred personal devices. When you re able to integrate with their favorite gadgets, suddenly work becomes play and productivity goes up. Plus, your employees will appreciate not having to lug around a separate device, while you save on technology infrastructure. What to ask about BYOD? Find out if there are additional licensing fees for BYOD access and get confirmation of all mobile devices supported by each UC vendor. For maximum compatibility, you ll want to listen for the big three: iphone, Android, and Blackberry. The Future Of Scalable Cloud Communications (603) 431-4121 x120 john@pcgit.com Copyright 2015. Star2Star Communications, LLC. All rights reserved. Star2Star is a registered trademark of Star2Star Communications. Eliminating cost and complexity with hosted VoIP Hosted VoIP providers offer the equipment, software, and technical expertise to deploy VoIP without the risk associated with launching an in- house solution. WHITE PAPER SMB Business Telephone Systems Options to Ensure Your Organization is Future Ready. By Peter Bernstein, Senior Editor TMCnet. Considering upgrading your existing system? Ready to Upgrade Your Communications Services? A hosted PBX solution from Spark Digital supports Strongline Buildings to increase flexibility, reduce costs and improve customer service. A hosted PBX solution from Spark Digital supports Strongline Buildings to increase flexibility, reduce costs and improve customer service. Strongline Buildings collaborates with confidence using the cloud.